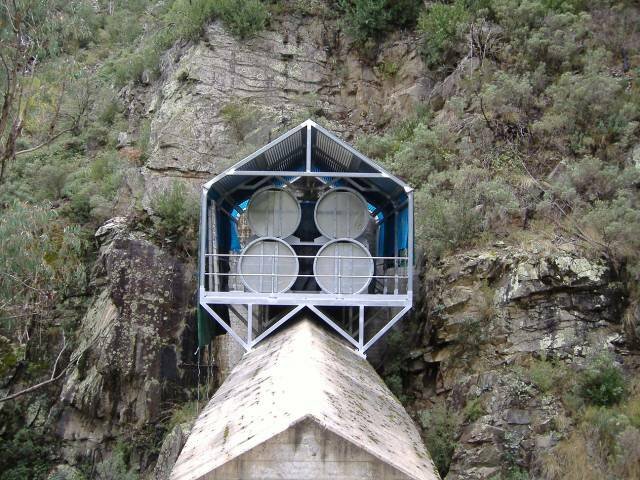 Snowy Hydro Limited have recently upgraded fire life safety systems at their the Tumut 1 and Tumut 2 hydro power stations. 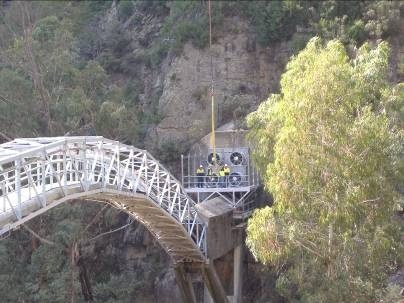 The stations, which are a part of the iconic Snowy Mountains Hydro Scheme located in the Kosciuszko National Park, were completed in 1959 and 1962 respectively. The upgrade included provision of a new smoke management system involving installation of new fan plant, dampers, associated electrics, and modification of internal station structures. For a number of years Conrad, Peter, and Nick have been involved with this project, initially developing a concept for the smoke management system and then later specifying the required station modifications, ventilation equipment, and modes of operation. Site testing of the system is scheduled to be completed by June 2011. Installation of a new 9.3 tonne, 80m3/s fan plant on top of the main cable way abutment. 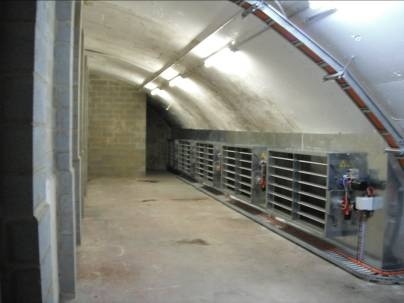 The cable tunnel down into the station now doubles up as a smoke duct. 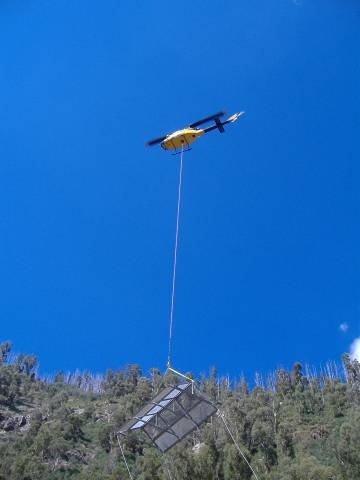 Components had to be lifted into place by helicopters. 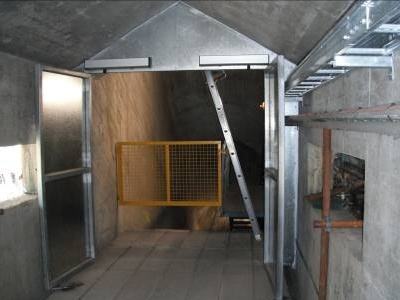 Structural modifications to form a smoke plenum at the mezzanine and installation of actuated smoke spill dampers. Installed actuated pressure doors to close when the emergency ventilation system is activated.